Offering you a complete choice of products which include power floaters. 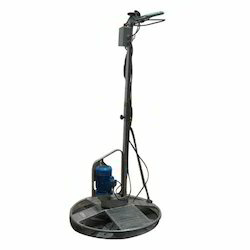 We are also engaged in offering our customers with Power Floaters that are used for flooring purpose. These are highly efficient in performance and offers service for a long period of time. We offer these floater on various specifications and offer them at market leading price. Outer shaft speed 115 r.p.m. Looking for Power Floaters ?